Free Shipping on Gifts and Cards Through December 31. Give a gift that has a lasting impact. Whether it’s tree planting in honor of friends and family or rain forest-saving coffee, we can help you give your loved ones a gift that continues to give long after the holidays are over. 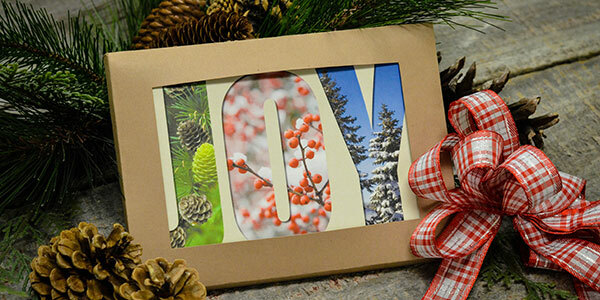 Send out bright and beautiful holiday cards that help bring our nation’s forests back to life. Each card plants a tree in honor of your friends and family. Our 10-card assortment includes two each of our five most popular Give-A-Tree holiday cards. 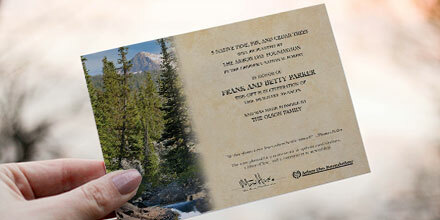 Our 10-card assortment includes two each of our five most popular Give-A-Tree everyday cards. Give a one-of-a-kind gift: delicious, rain forest-saving Arbor Day Coffee. It protects precious rain forest and the farmers who live there. Have trees planted to honor your friends and loved ones in one of our National Forests. We will send you a commemorative certificate for every donation you make, or you can choose to print it at home. This holiday season, give a gift to the world. You can help us improve communities, preserve our world's forests, and nurture the next generation of tree planters.